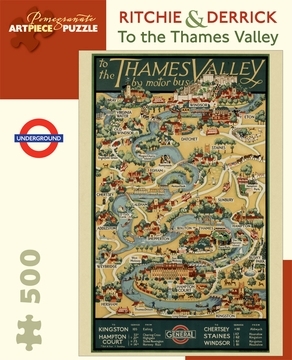 A day trip from London to the River Thames in one of the cherry-red, double-decker motor buses of the 1920s promised an escape from city living—tranquility, history, greenery. That’s exactly what London Transport advertised in its fascinatingly detailed posterTo the Thames Valley by Motor Bus, with routes from the city and its outer reaches to attractions stretching from Kingston to Windsor. A seat on the upper deck meant riding on country lanes in the open air, alongside shepherds' flocks and gentlemen’s carriages. But with the rapid growth of transport more luxurious accommodations—an enclosed top deck, upholstered seats, and easier boarding—were already on their way.